Dusting off the ol’ resume and showing face-to-face rapport with tiny humans are among the best ways to land a nanny job in today’s social climate. While the days of trusting the neighbor’s daughter to babysit are not gone, accumulating experience and finding solid work in the childcare industry looks more akin to the professional model of learning and interviewing each year. In a recent article on parenting.com, a mother and contributing writer shared her cautionary tale of a nanny hiring gone wrong and detailed the steps she suggests in hiring a trustworthy childcare professional. Before considering candidates, the piece encourages parents to set parameters by communicating their expectations—perhaps writing a job description—and allowing for a reasonable timeline to make an informed hire. 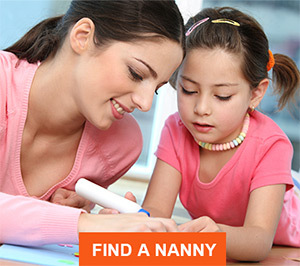 In an attempt to find the right fit, a nanny can put forward similar guidelines such as whether full-time or part-time work is being sought, whether skillset stops at childcare or extends to education and housework, what level of compensation is expected based on experience, and whether or not benefits are being sought. A proper back-and-forth to compare expectations with offerings can take two months or more when considering multiple candidates, and enlisting the help of an agency is an option. Although a candidate’s willingness to match a family’s needs is an important step in the process, the candidate should have a resume that proves these services have been provided and rendered in the past. A prospective caregiver should present this experience in an organized and professional manner, naming clients and listing timelines and specific tasks completed in the service of each client. Instructions and resources for writing a nanny resume can be found in a 2017 blog post by the International Nanny Association. The article stresses focusing on experience and including course work and certifications while communicating multi-dimensionality and role-model characteristics. Formatting preferences can be seen here. As important as valuable experience are the references upon which a family can call to prove a caregiver’s history. The industry standard is at least three references, which will allow a nanny to verify work-well-done and reliability over a period of time. Parents should call each reference and make time for thorough discussions, and caregivers should provide family names and contact information at the end of a resume. Notifying families that they are being used as references is good practice and can prepare them for potential conversations on a caregiver’s behalf. Compiling a comprehensive job history may come as second nature to experienced childcare professionals, but for the aspiring nanny, babysitting in the immediate community and volunteering at childcare centers can begin the process of building a positive reputation among families and veteran caregivers. Once experience and credentials are put forth and have passed a level of screening, nannies should be willing to sit down for an in-person interview with a family. An August article on The Balance Careers website lists potential questions a caregiver could be asked during an interview, including “Why have you chosen to become a nanny?” “Do you have CPR and first-aid training?” and “What would the before- and after-school routines be with school-age children?” For a full list of questions, click here. Beyond being prepared to answer questions, it will be important for a nanny to put her or his personality forward. Interacting with children during the interview can show empirical evidence of an individual’s way with kids. Finally, if all goes well, both parties should be willing to agree upon a trial period and a work contract. The trial period will allow for a window of investigation in which both sides can evaluate whether the scenario is comfortable, and the contract will dictate the family’s expectations as well as the caregiver’s work hours, rate of compensation, and any available benefits like paid vacation and health insurance. 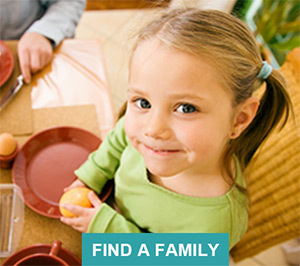 For more information on current trends in nanny compensation and benefits, click here.